I just moved to Chamonix with my family for 6 weeks to be here while Todd is guiding in these beautiful mountains. I am glad that I brought some of my favorite things to sprout. I did not bring any mason jars or trays so I used what I had available here. 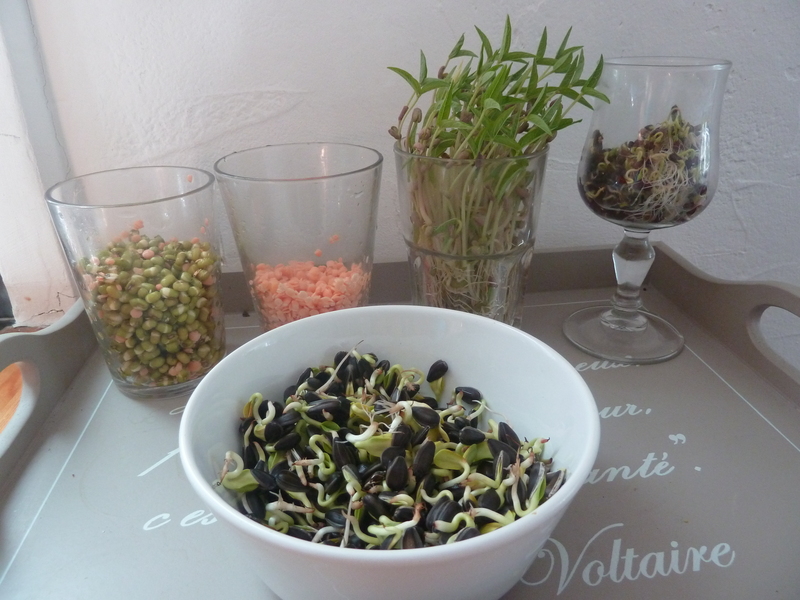 What I have noticed about growing sprouts is that it is easy! And it is forgiving you can do almost anything and they will grow. Just give them some water. Leave seeds in jar, or you can put them in a bowl, or on a plate. The plate method is great for small seeds. Place a paper towel under and above the seeds and this makes for easy rinsing. It really is that easy. Give it a go. Enjoy!!! 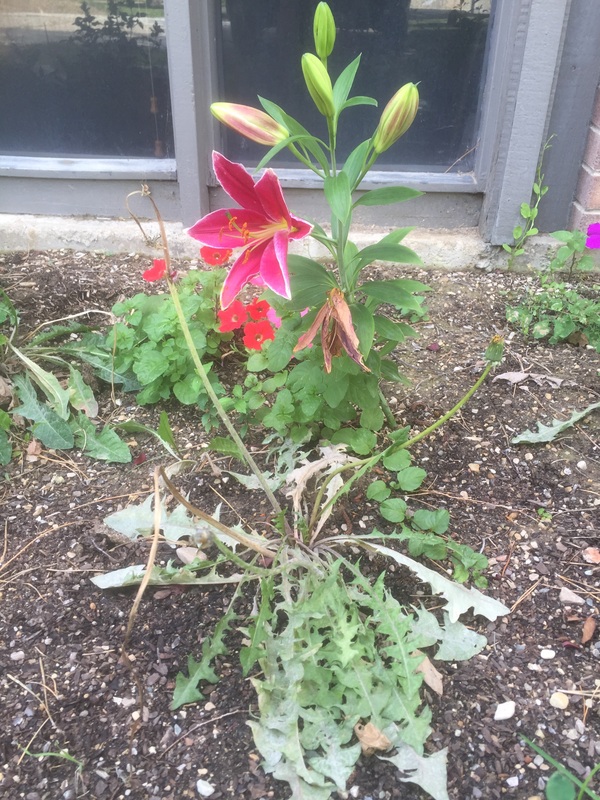 There are some differences depending on what you are sprouting. Almonds and pumpkin seeds I just soak them for 4-8 hr and drain the water and then eat. It sprouts on the inside. You will not see anything different but they will be softer and full of extra power once they sprout. Mung beans, buckwheat, sunflower seeds are ready when you get 2 leaves. Lentils I begin eating from the time I see a sprout shouting out. Starting on left: Mung beans day 1, Lentils day 1, Mung beans day 5, Buckwheat day 5, Sunflower in bowl day 5. Vitamins like K, A, C B1, B6 are abundant when the seeds, nuts, beans or grains sprout. Minerals are high as well like Iron, Calcium,Phosphorous, Magnesium, Potassium, and Manganese. Most beans increase Vitamin A by 8 times when sprouted. When the seeds spout inside it releases the energy of life. The seed lays dormant and protected until you sprout it and then its power is alive. Experts say that the enzymes are 100 times more than in uncooked fruits and veggies. 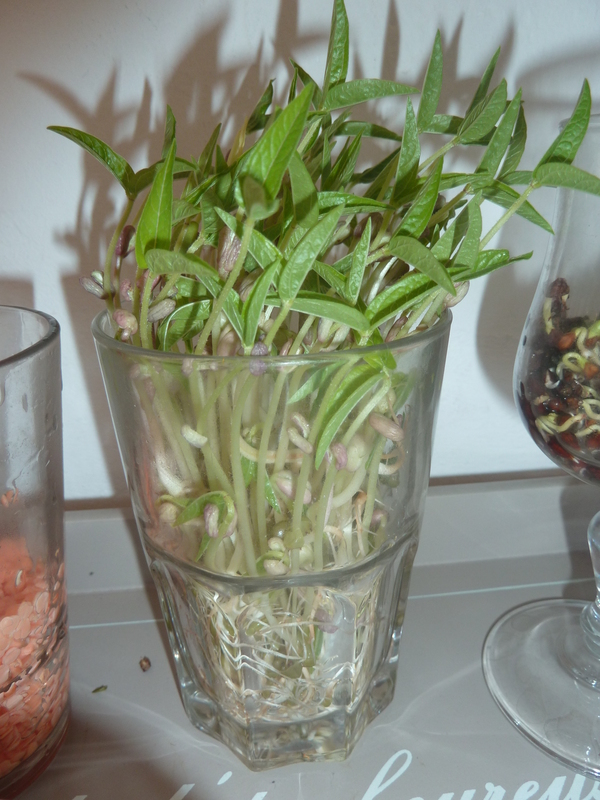 The proteins change when you sprout as well increasing the availablity to us. They can contain up to 35 percent protein. Sprouted kidney beans have 8 grams per cup. When added to a grain like quinoa, amaranth, or rice or couscous you can get a complete protein with all the essential amino acids. Sprouts are high fiber, low calorie and loaded with goodness for you. When you give your body the nutrients it needs then you will not crave unhealthy foods like sugar and processed foods as much. 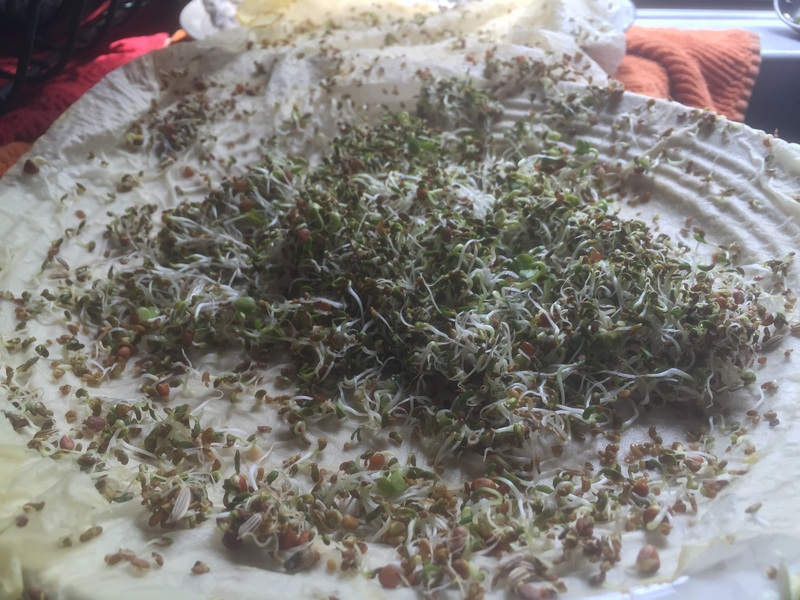 The fiber in sprouts helps your digestion and balance of sugars. They help you feel fuller longer and are easy to breakdown in the body. Making Almond milk is easy and fun. It may save you a little money and it definitely saves lots of waxy cardboard cartons from going into a landfill. Almond milk taste great on cereal and in tea! Place ingredients in blender along with water close to the top. 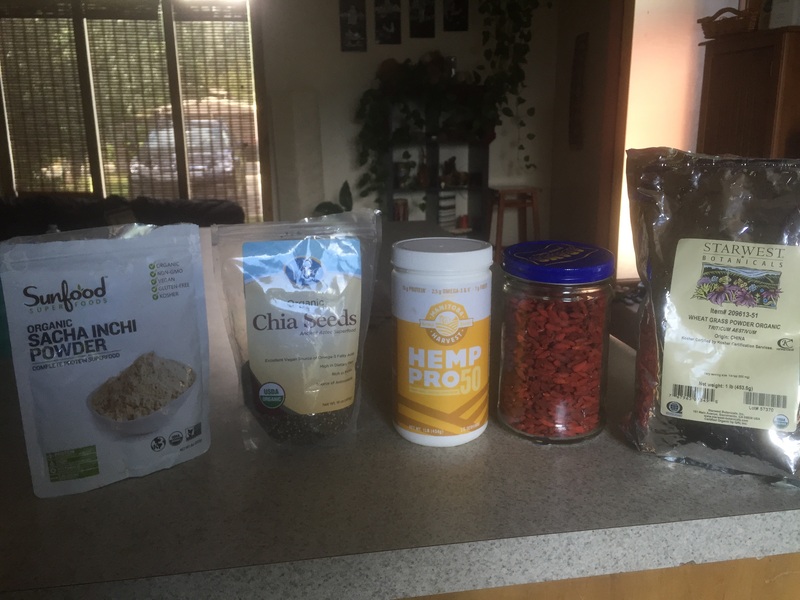 Blend for 1 minute. Strain through a nut bag! I found a nut bag on amazon for $7. Almond milk will settle so stir before serving. 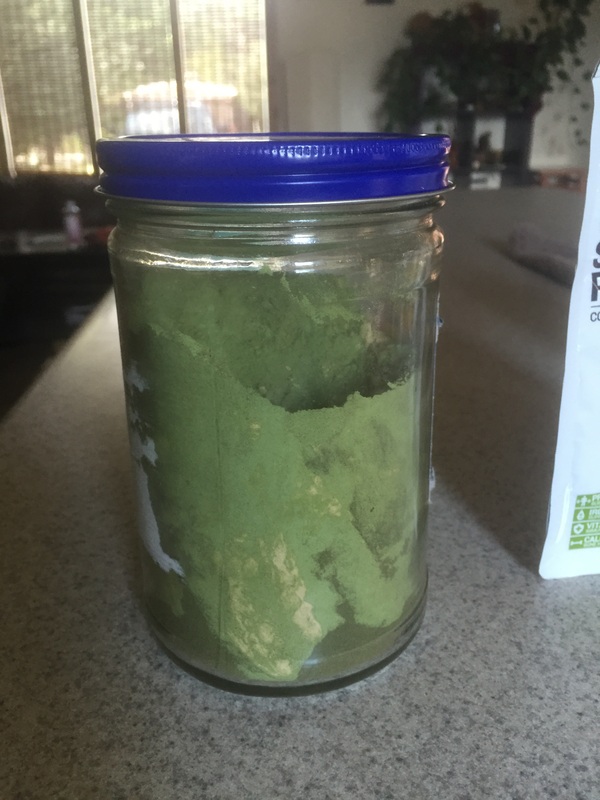 You can use the left over almond meal to make cookies or bread!